Installing a skylight in your home may seem like an unnecessary luxury requiring a lot of work, but natural light is a great way to add openness to any room while also making it a better living space. The addition of a skylight adds beauty and character with no extra decorating or effort on your part. Saving money by reducing the need to use electrical lighting fixtures during the day. A skylight allows the sun’s rays to penetrate into your home, even on cloudy days, and reduces electricity costs as a result. It also raises the internal temperature of the home, cutting down heating costs in the winter. Increasing room functionality, depending on where and how the skylight is added. Placing the skylight on either the east or the west side of the room will cause light to penetrate directly, which warms the space. Putting it on the north or the south side will keep the room cooler by avoiding direct rays. Connecting the room with the outside world and with nature. The ambiance created by a skylight is more relaxing than that of light bulbs. Improving the aesthetic appeal of the home therefore adds to the overall value of the home. This could be useful when it comes to selling the home at a later date. The more personalized the house, the more people are willing to pay for it. 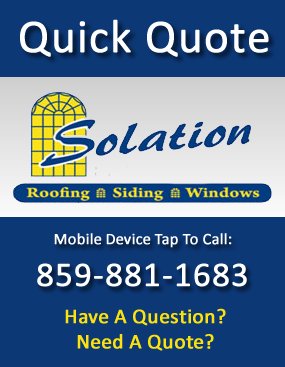 Contact Solation today for more information or an installation quote.